So Nebula broke up. Pretty big deal. Where are the space rock bands that will fill their shoes? These guys have left behind them a legacy. The band was formed in 1997 after guitarist Eddie Glass and drummer Ruben Romano left Fu Manchu to form their own band....with more emphasis on heavy space psych metal/rock than your usual desert/stoner metal. These guys drew more from Hendrix, Hawkwind, and Helios Creed, but that unmistakable sound was still there....that Stooges meets Black Flag meets Black Sabbath sound of Fu Manchu. 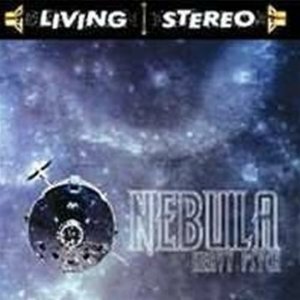 Anyway, Nebula's music had become more improvisatory and brilliant, more truly otherworldly over the years, leaving the earth and desert behind. Metal that will blast you off into the stratosphere and disrupt your circuits for good.I will leave you with one track from their latest EP as an epilogue because it was their best at that moment. Nebula's greatness improved with every new disc. These guys were prolific, not a bad album out there, so check them out.